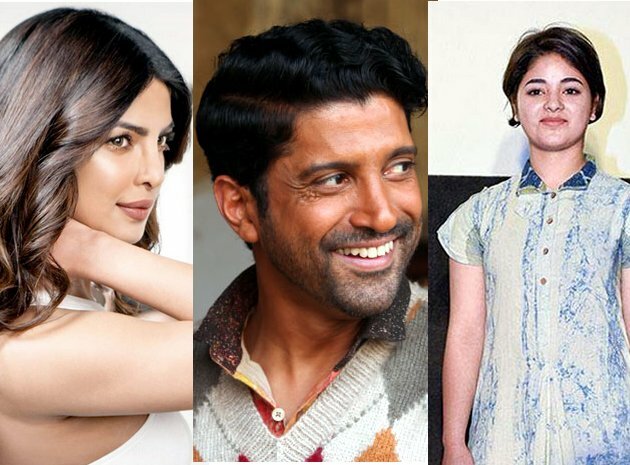 New Delhi: Bollywood actor Farhan Akhtar is all set to reunite with his 'Dil Dhadakne Do' co-star Priyanka Chopra for filmmaker Shonali Bose's next 'The Sky Is Pink', trade sources said on Wednesday. ''According to the earlier reports, Abhishek Bachchan was roped in for the role. Now, it has been learned that the actor is out of the project. The film has now gone to Farhan Akhtar,'' sources said. ''This will be Priyanka and Farhan's second project after 'Dil Dhadakne Do'. 'Dangal' fame Zaira Wasim will be sharing a screen space with them, who is reportedly playing the role of their daughter in the story,'' sources said. ''While Priyanka and Zaira have begun preparation for the film, the lead actor for the film is yet to be officially announced,'' sources said. ''The film will reportedly go on floor in the month of August,'' the sources added. 'The Sky Is Pink' is a story about a young girl named Aisha Chaudhary who was diagnosed with pulmonary fibrosis at the age of 13. She became a motivational speaker after her diagnosis. She even came out with a book, 'My Little Epiphanies'. With a positive attitude, she spoke at prestigious events like TEDx, INK conferences. Chitrangda Singh has entered the production world with "Soorma"